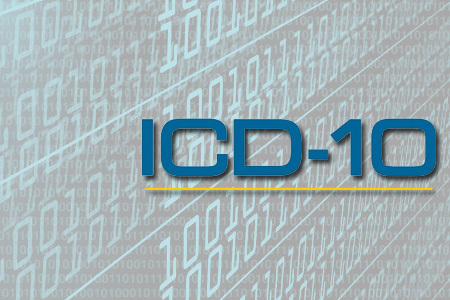 According to CMS, while about 10 percent of claims submitted since the transition from ICD-9 to ICD-10 have been rejected, few have been denied due to coding errors. According to CMS, more than 4.6 million claims have been processed daily since the Oct. 1 transition to ICD-10. A recent announcement from CMS further explains that, while 10 percent of the claims from Oct. 1 to Oct. 27 were denied, less than 1 percent of those were denied because of invalid codes. Invalid ICD-10 codes were the basis for rejecting .09 percent of claims, and .17 percent of total claims submitted based on end-to-end testing. Healthcare Finance reports total claims rejected due to invalid ICD-9 codes represented .11 percent of submissions and .17 percent of total claims submitted based on end-to-end testing. “CMS has been carefully monitoring the transition and is pleased to report that claims are processing normally,” the announcement notes. CMS plans to issue another update in November, since many claims have not been fully processed yet. In fact, Medicare claims take several days to be processed and, once processed, Medicare must — by law — wait two weeks before issuing a payment. Medicaid claims can take up to 30 days to be submitted and processed by states.